HATTIESBURG, MS (WDAM) - Susan Perry, a Mississippi-based nurse practitioner, pleaded guilty in federal court on Friday to one count in a 13-count indictment against her. Perry was charged in October 2017 for her role in a compound pharmacy scheme that resulted in defrauding the government and healthcare agencies out of millions based on court documents. "Beginning in or around January 2014, and continuing until in or around April 2015, in Lamar County, in the Eastern Division of the Southern District of Mississippi, and elsewhere, the Defendant conspired with others to knowingly and willfully execute or attempt to execute a scheme and artifice to defraud health care benefit programs, including TRICARE, a federally funded health care benefit program that serves United States military personnel and families. The scheme focused on compounded medications formulated and sold by Advantage Pharmacy, which was located in Lamar County, Mississippi." On June 7, Perry's lawyer filed a notice of intent to plead guilty. Perry, a Grand Bay, Alabama native was charged with one count of attempt and conspiracy, four counts of fraud by wire, radio or television, one count of conspiracy to distribute controlled substance, one count of controlled substance--- sell, distribute, or dispense, one count of conspiracy to defraud the United States, two counts of payment to non-licensed physician and one count of statements or entries generally also known as making false statements. The indictment states that TRICARE reimbursed more than $3.3 million in compounded medications, some of which were ketamine--- a controlled substance, prescribed by Perry. Court documents show that health care benefit programs along with TRICARE "relied upon the defendant's signature on the pre-printed prescriptions as evidencing the medical necessity of the compounded medications dispensed." It goes on to say that her actions caused TRICARE to reimburse Advantage Pharmacy of $1, 375, 692 in claims. She also allegedly received $50,000 in kickbacks. "...As a nurse practitioner, Defendant was empowered to write prescriptions for medications, including compound medications, which were medications combined, mixed, or altered by licensed pharmacists or other practitioners to meet the specific needs of individual patients. Defendant, as a nurse practitioner, was aware that prescribers were not permitted to prescribe medications, including compounded medications, that were not medically necessary and reasonable for the treatment of the patient...."
Due to her guilty plea, the government dropped the remaining 12 charges in the indictment. Her conviction carries a sentence of up to 10 years and a fine of $250, 000. Perry is set to be sentenced on Sept. 20 and will remain free on a $25, 000 unsecured bond until her court date. She is the fourth person to appear in court related to the compound pharmacy scheme within the past few months. Albert Diaz, a Biloxi-based physician was sentenced to 42 months in prison for his role. Diaz was found guilty on all charges in a 16-count indictment on March 2. He was charged with fraud conspiracy, conspiracy to distribute a controlled substance and destruction , altercation and falsification of records in a federal investigation. Throughout the trial, Diaz maintained his innocence stating he was only trying to help patients in need. And on June 25, 2017, two other men involved in the compound pharmacy scheme pleaded guilty. 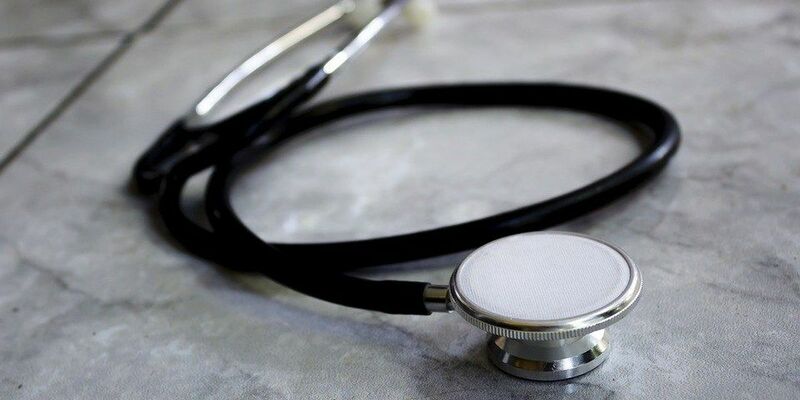 Jay Schaar, a former pharmaceutical sales representative, pleaded guilty to conspiracy to commit health care fraud in a scheme to defraud TRICARE of more than $2.3 million. The pharmacist in charge of Advantage Pharmacy, Jason May, pleaded guilty to conspiracy to commit health care fraud and money laundering to defraud health care benefit programs, including TRICARE, of more than $190 million. Schaar and May are expected to be sentenced on Aug. 21.